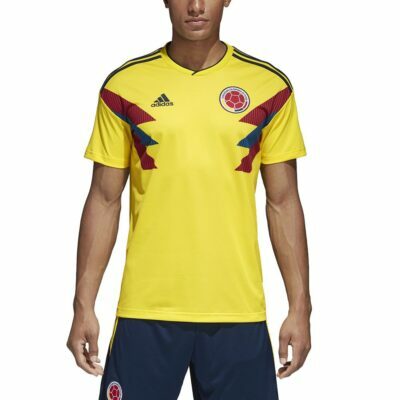 A SHIRT WITH ECHOES OF COLOMBIA’S GREAT ENTERTAINERS. 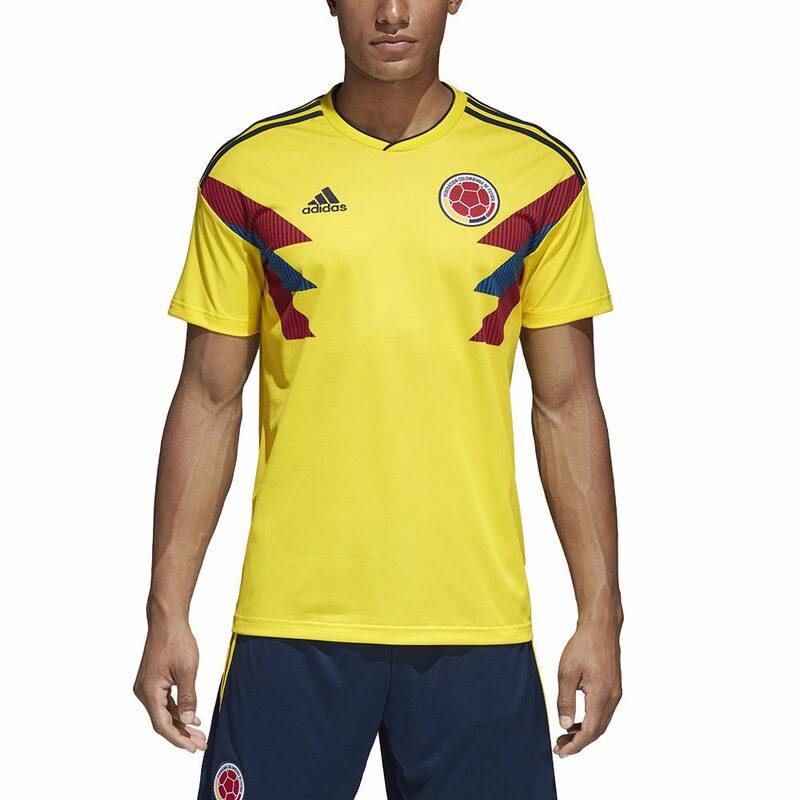 Created for fans, this jersey keeps you comfortable as you cheer on Colombia at the 2018 FIFA World Cup Russia™. 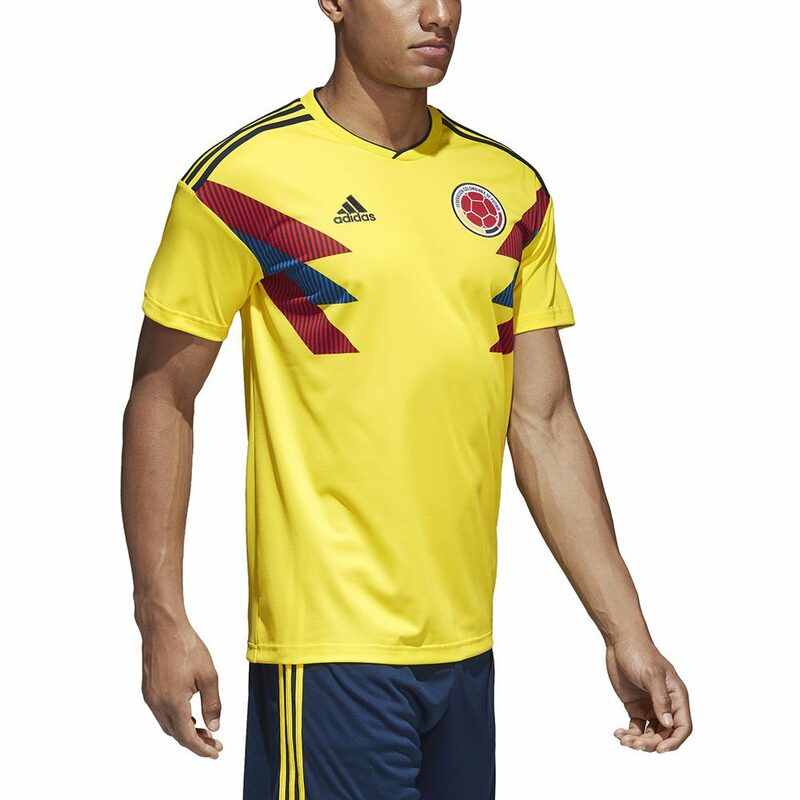 It displays a fresh take on a ’90s design turned into a classic by one of the country’s most talented squads. 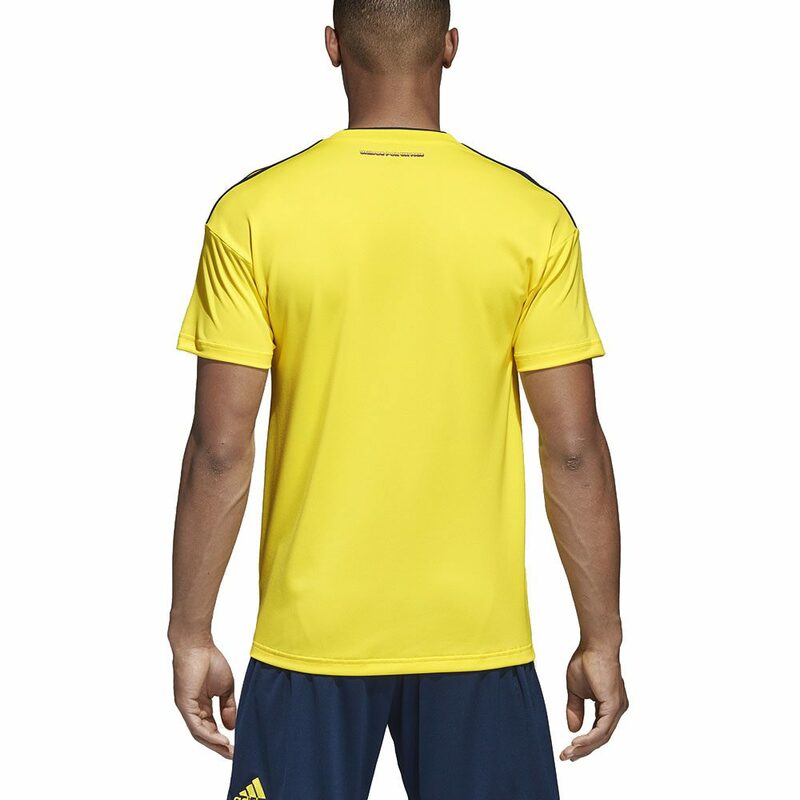 Made of soft fabric that channels moisture away from your skin, it has a slightly looser fit than the shirts worn on the field.